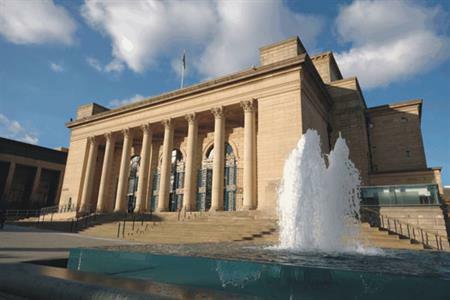 The Arts Marketing Association (AMA) is to hold its annual conference in July 2013 at Sheffield City Hall. It will be the first time the city has hosted the event which will highlight Sheffield’s art and cultural credentials and is thanks to a successful partnership bid between Marketing Sheffield, Sheffield International Venues and Hospitality Sheffield. Around 550 arts professionals are expected to attend the event which will run from 16-18 July 2013, with Sheffield City Hall as the main conference venue. There will also be a series of networking and social events across the city. The AMA chose the city following a partnership bid between Marketing Sheffield, Sheffield International Venues and Hospitality Sheffield. The event is currently being held in Brighton. Annabel Busher, Events and Services Manager for AMA said: "Sheffield meets our brief perfectly for 2013 thanks to a great main conference venue and an exciting range of arts venues in the city with potential for excellent networking events. "The city has great transport links for our delegates. What’s more it’s very welcoming with all venues and hotels within walking distance of each other. We have dealt with helpful and knowledgeable staff throughout- at all the venues and at Marketing Sheffield." Sheffield City Hall is operated by Sheffield International Venues (SIV), the largest sport, leisure and entertainment company in the North of England.